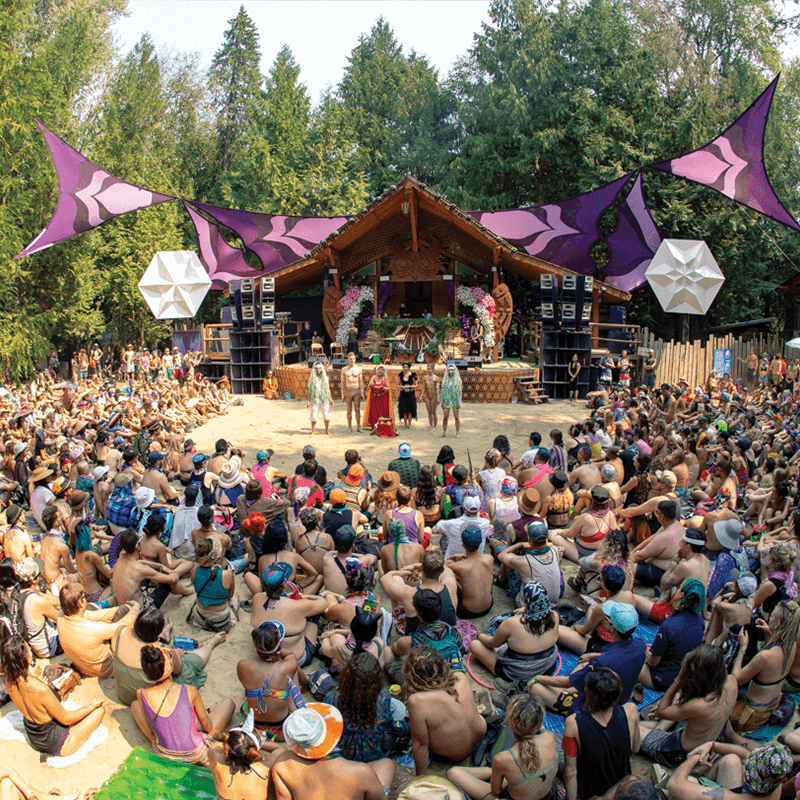 One thing that Shambhala Music Festival prides itself on is the unparalleled unique experiences of our six individually curated stages. 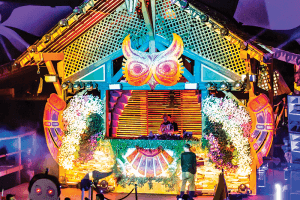 Each stage brings a different realm of magic to the farm and tickles the musical fancies of all our guests. 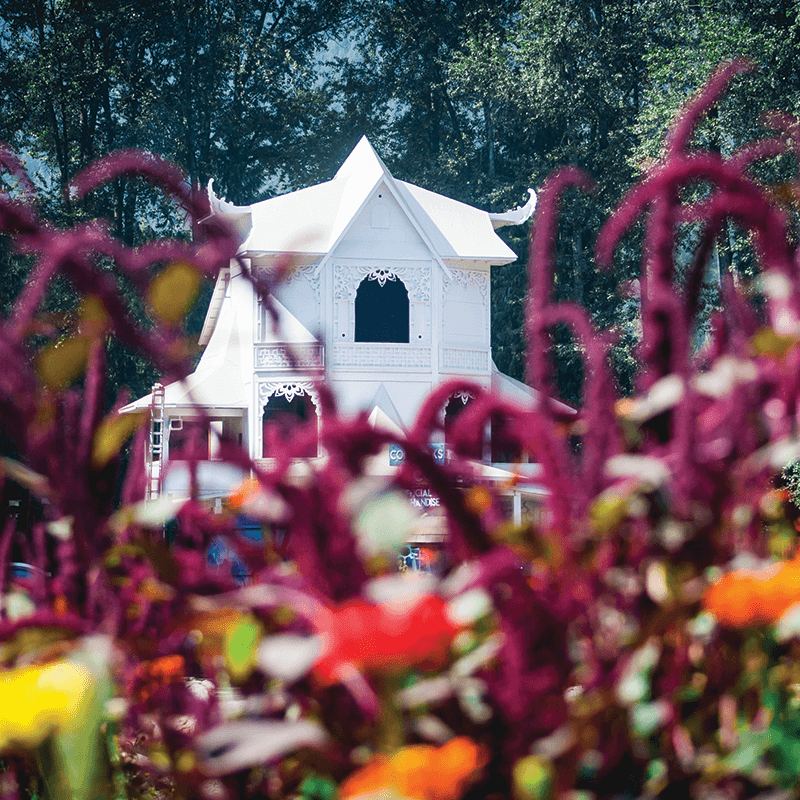 Our goal is to create a space that is as inclusive as possible. 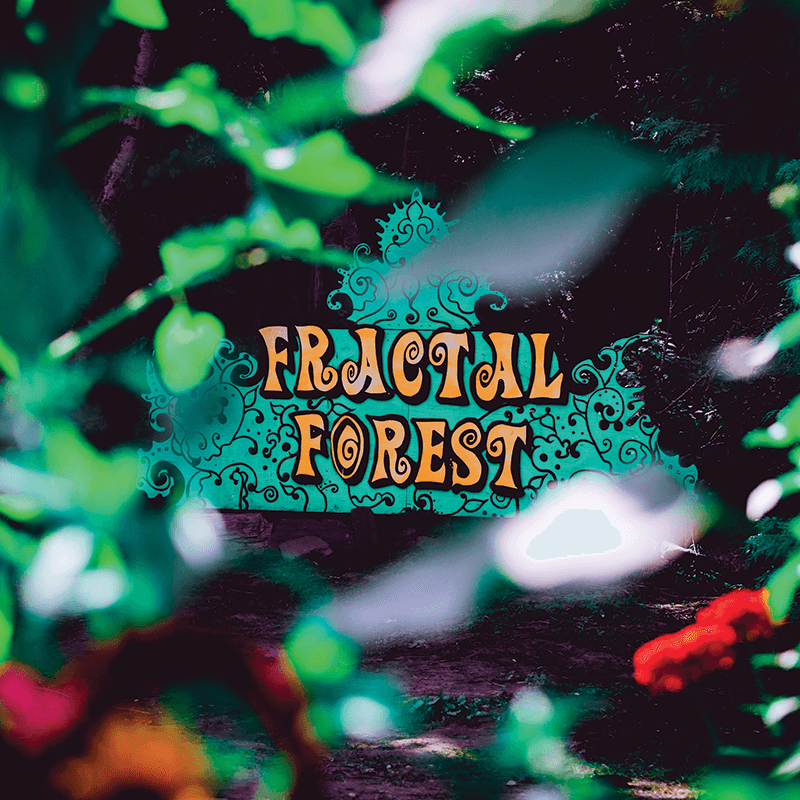 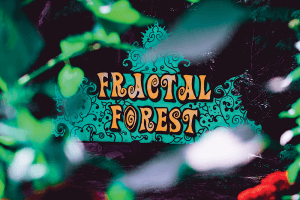 Whether you’re looking to get lost in the evergreen maze that is the Fractal Forest, or chill out and channel those beach vibes of the Living Room Stage, there is something for everyone. 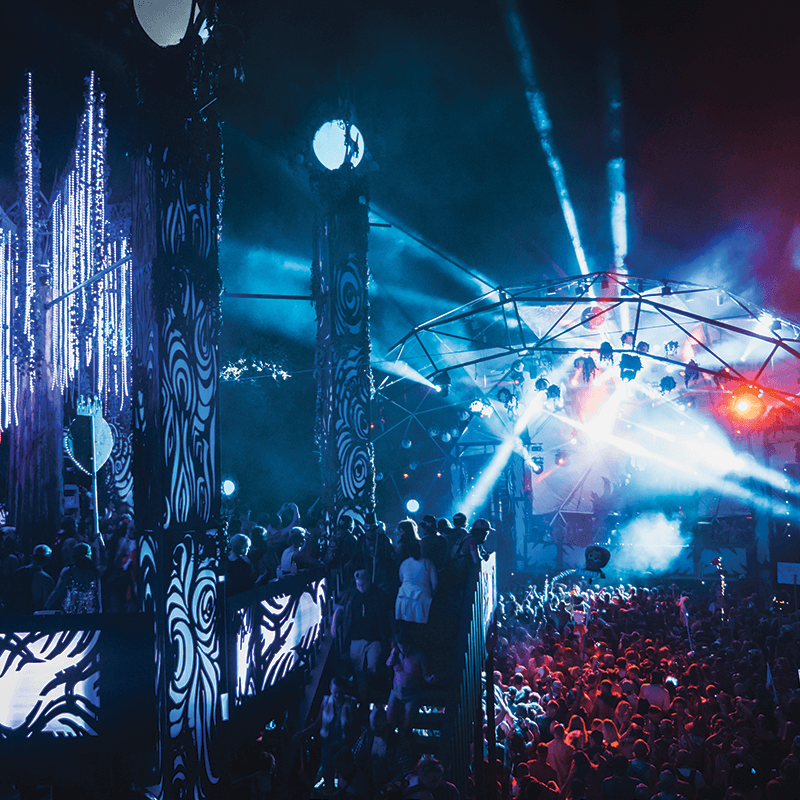 Our six stages are one of the most unique aspects of the festival. 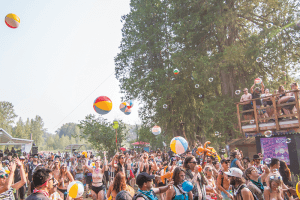 Not only do each of the stages stand all year round, growing into the landscape of the Salmo River Ranch, they also undergo constant improvements and updates to make sure we blow you away each and every year. 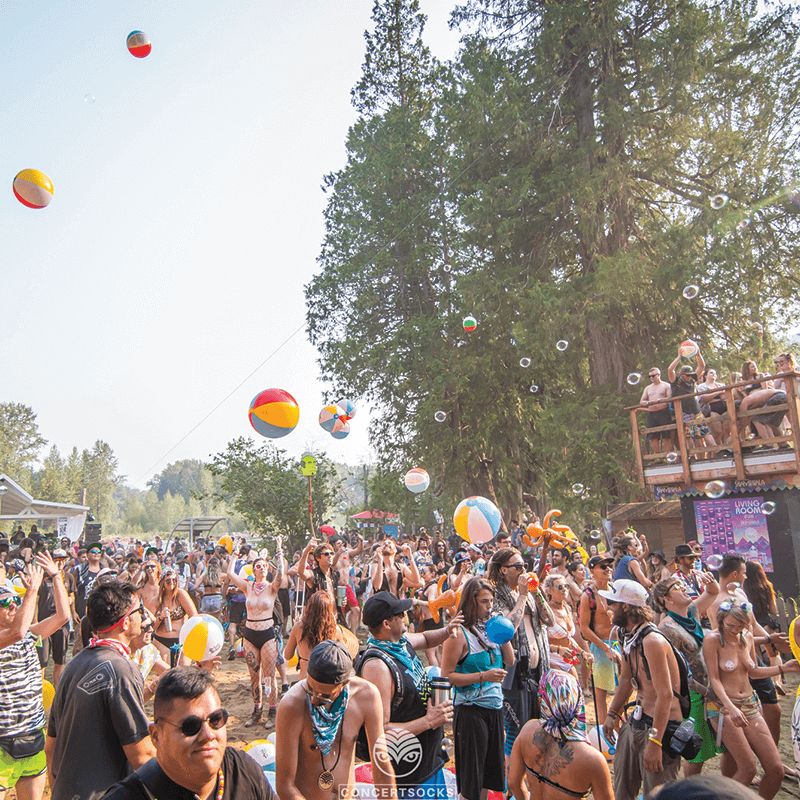 Our six stages also offer a solid range of diversity when it comes to music. 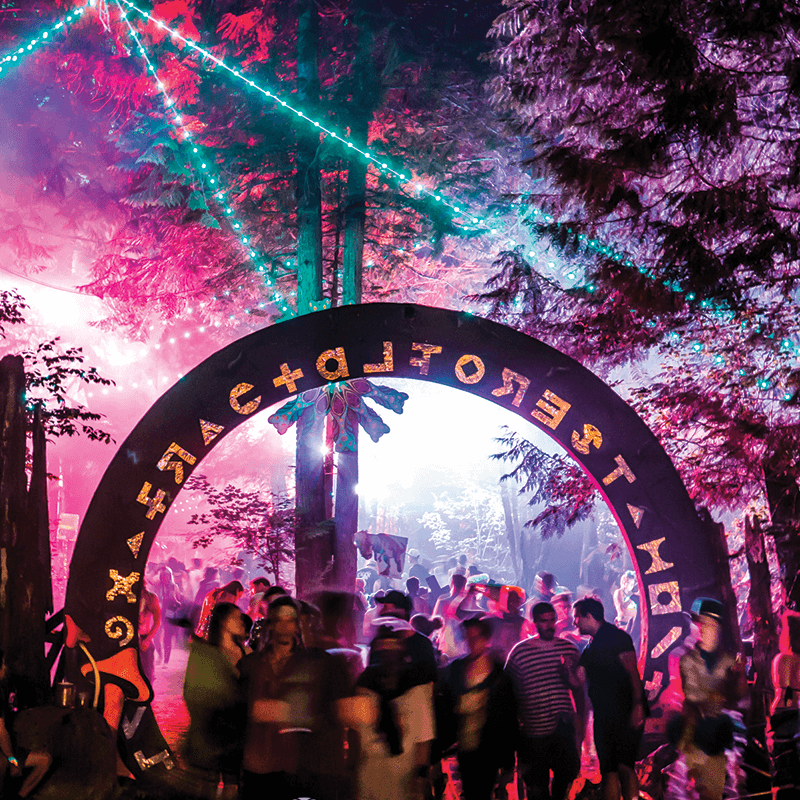 Each stage is curated by their very own Stage Director, delivering a unique range of music and you can distinctly tell when you travel between them. 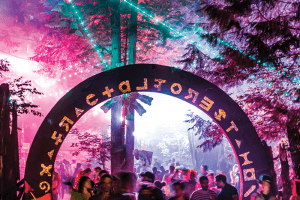 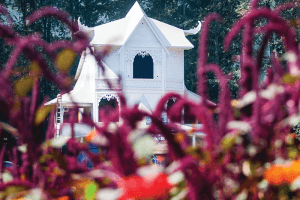 Shambhala Music Festival is a subversive, environmental experience, and in each nook and cranny, you’ll find little surprises hidden across the farm as you journey between the stages. 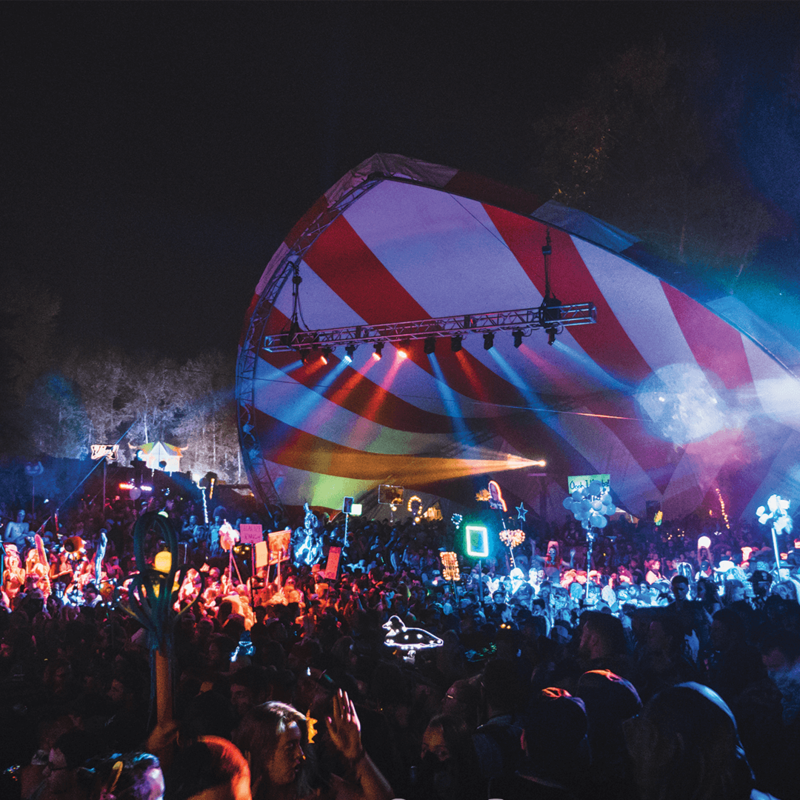 You can’t miss the AMPhitheater, with it’s red and white sail, it’s the funkiest participatory circus around. 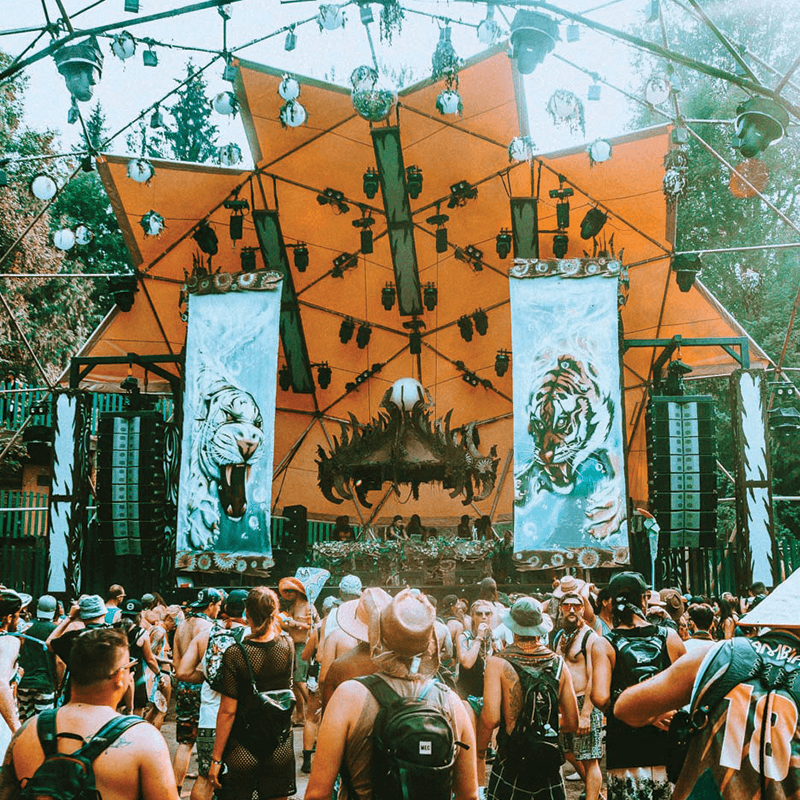 Famous for a diverse spectrum of top-quality music and artists over the years, the AMPhitheater is the place to be for a ridiculously stacked lineup of back-to-back sets. 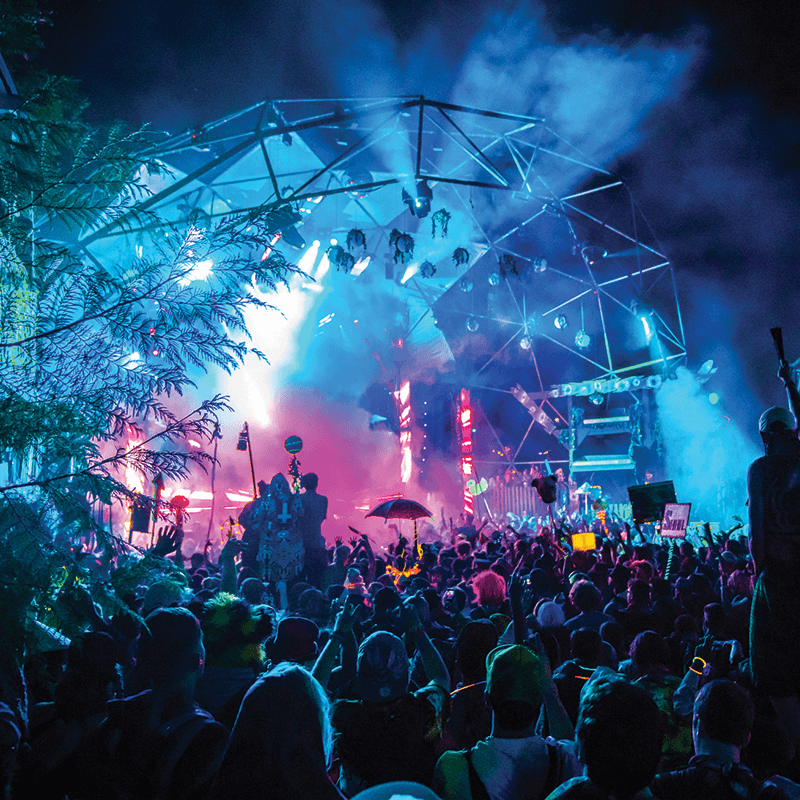 Prepare for takeoff on this funky spaceship, featuring some of the funkiest sounds from the greatest DJs from all over the world. 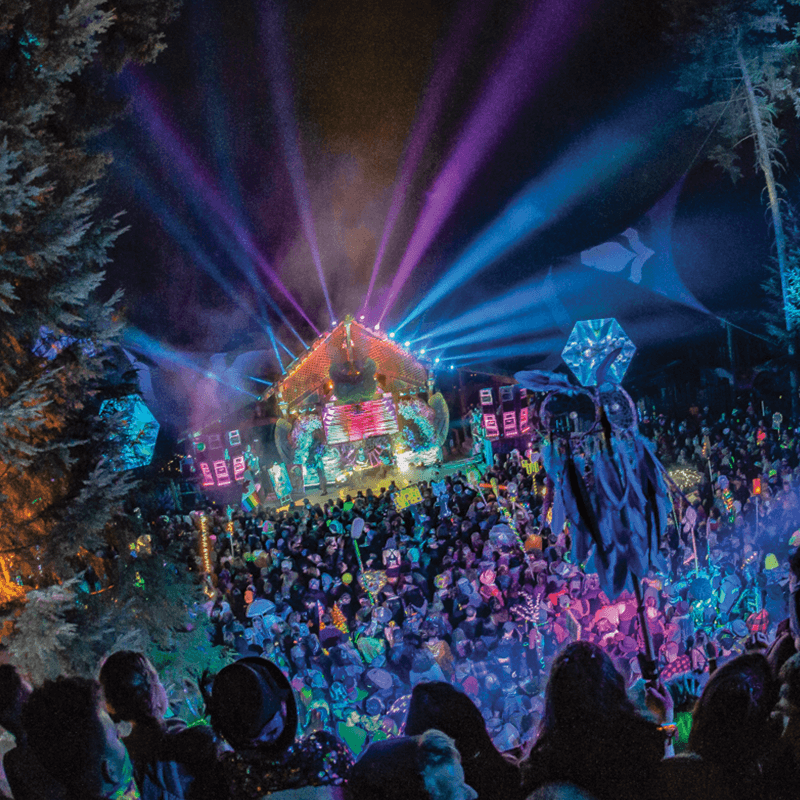 Strap in and get ready to enter another dimension of sound, visuals and booty-shakin’ good times in the forested wonderland. 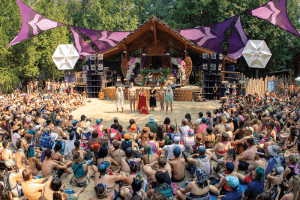 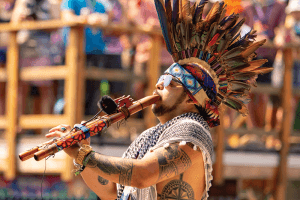 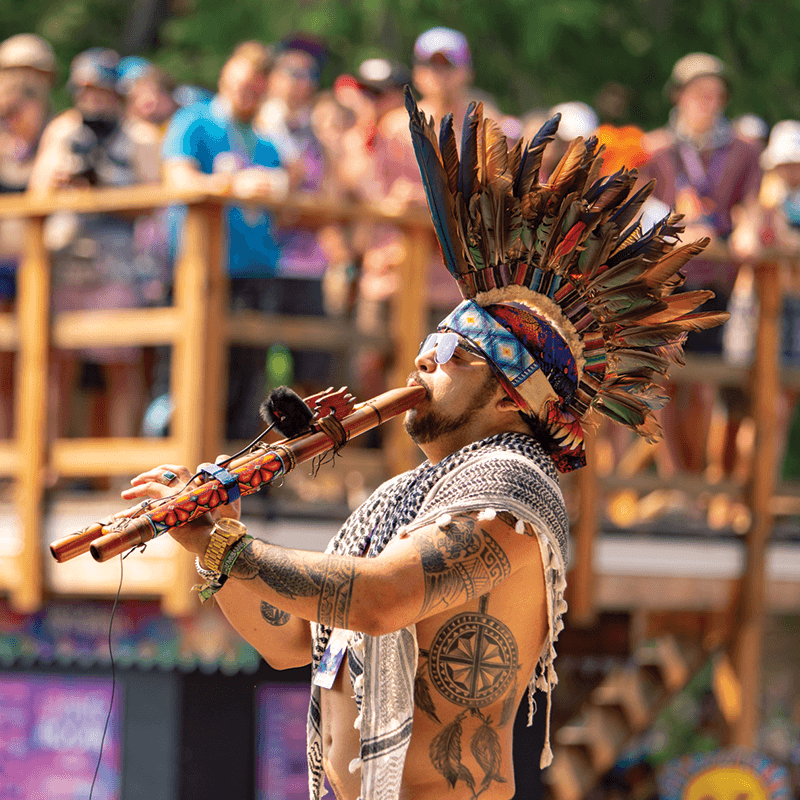 Home to gnomes and ravers alike, the Grove Stage is nestled in an old growth forest, surrounded by towering cedar trees, lush pathways and mesmerizing art installations. 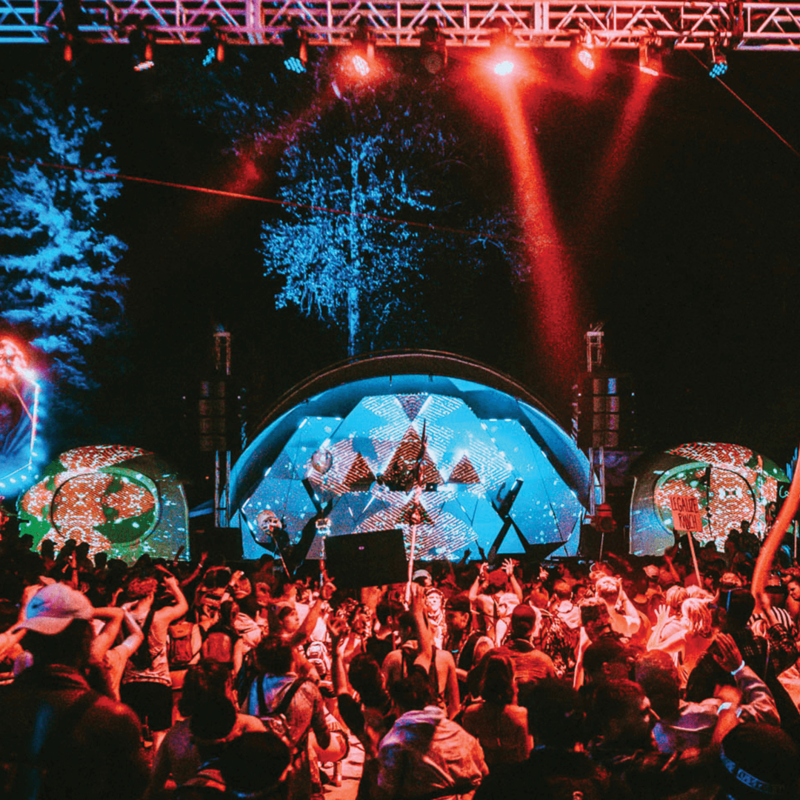 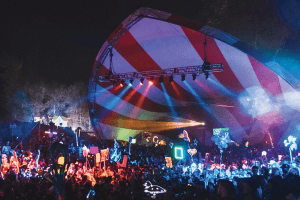 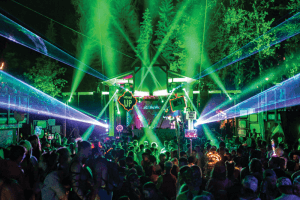 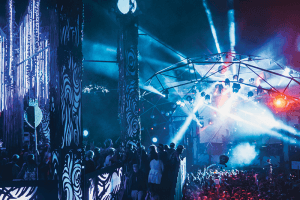 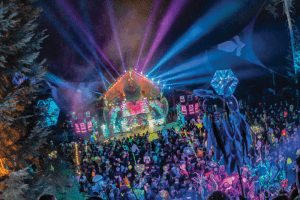 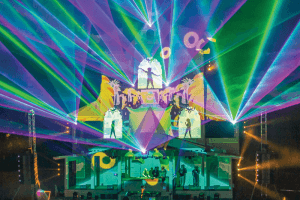 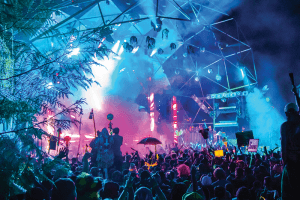 The Grove Stage also packs a punch with a full spectrum sound system and state of the art lighting and visuals, all to the canvas of bass, funk, and downtempo electric lullabies. 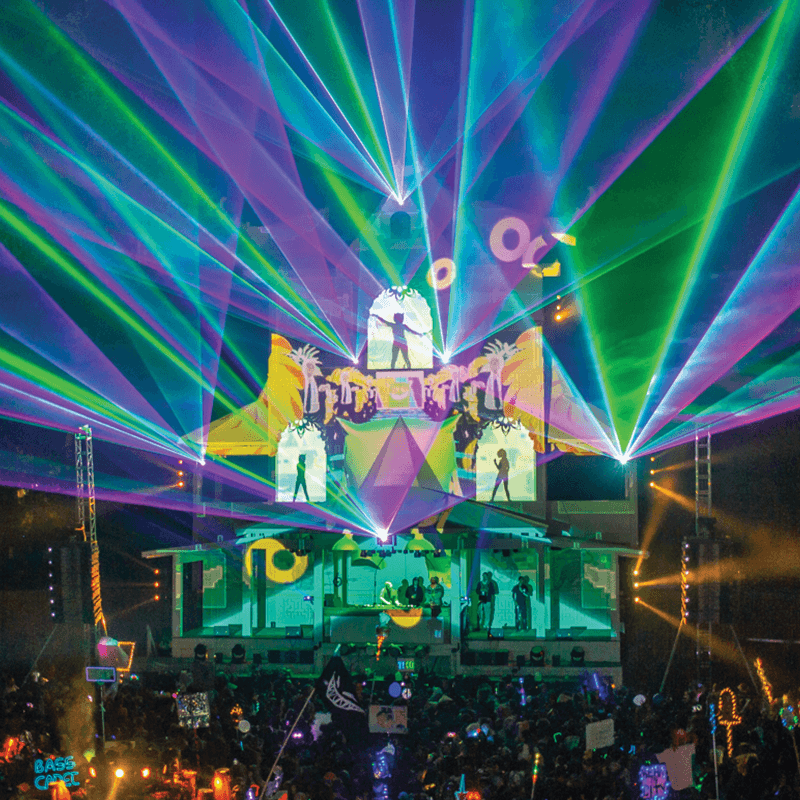 Every home has a living room, but not all of them are as groovy as the Living Room Stage. 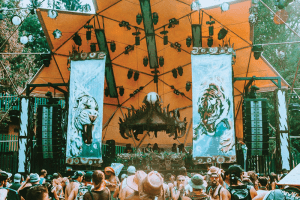 Get ready for some riverside rhythms as you relax and unwind to the soulful sounds and electronic goodness that is the daytime at the Living Room Stage before sunset brings the deeper heavier grooves. 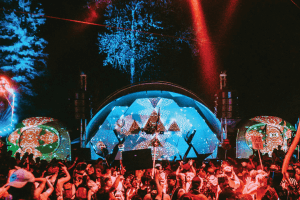 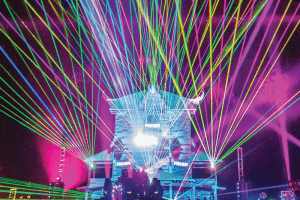 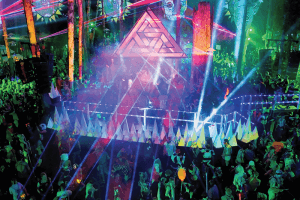 As one of the world’s foremost pioneers in video mapping and visuals, the Pagoda Stage is a feast for the eyes and the ears. 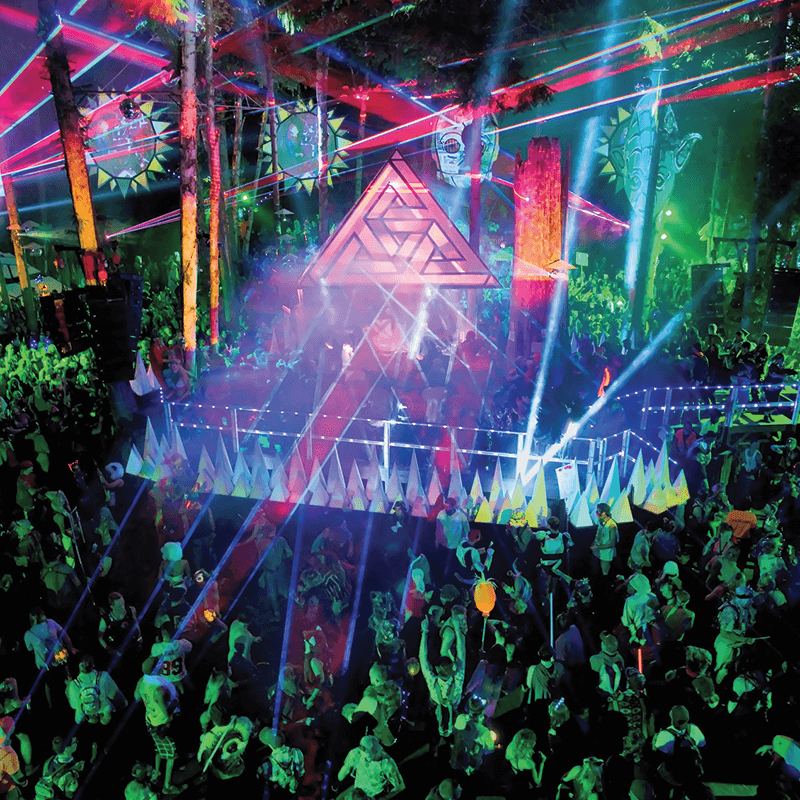 This is your temple for electro and bass bangers, featuring some of the biggest names in electronic dance music. 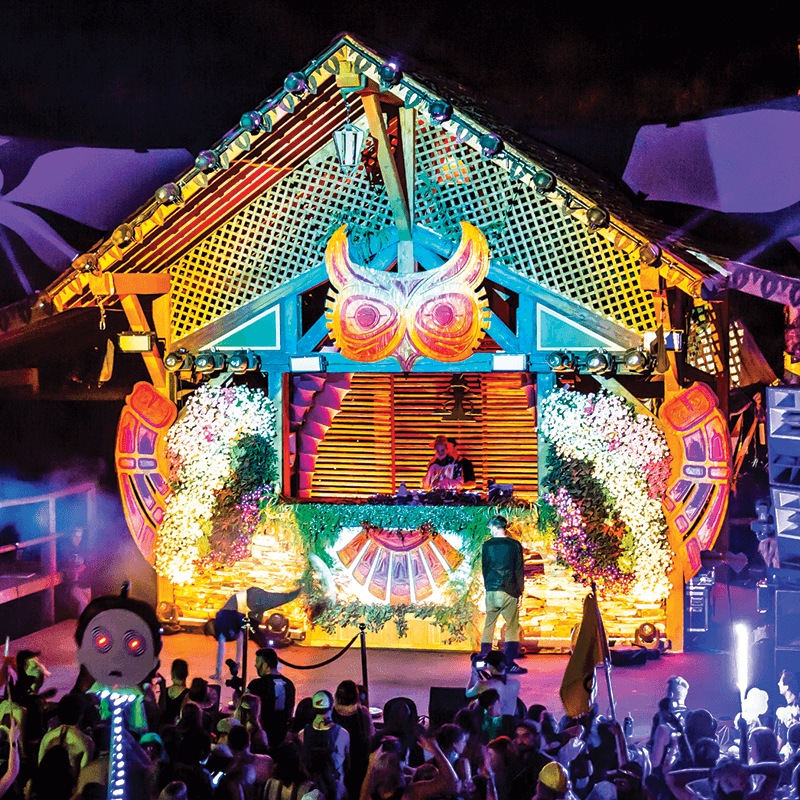 With an all-new stage structure built two years ago, there’s no shortage of visual delights when it comes to this stage. 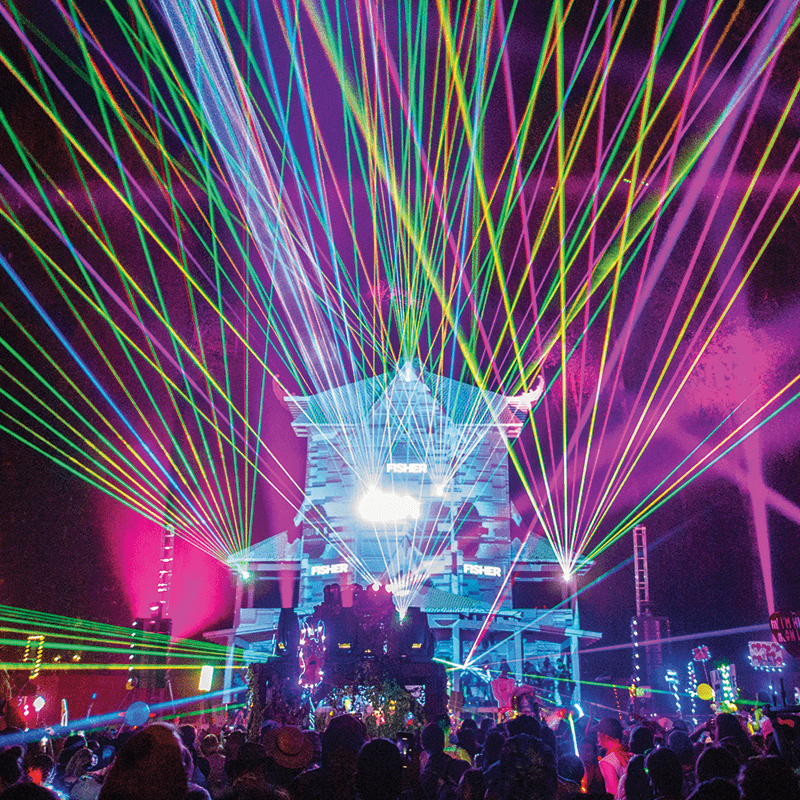 Bassheads rejoice, this is the stage for you. 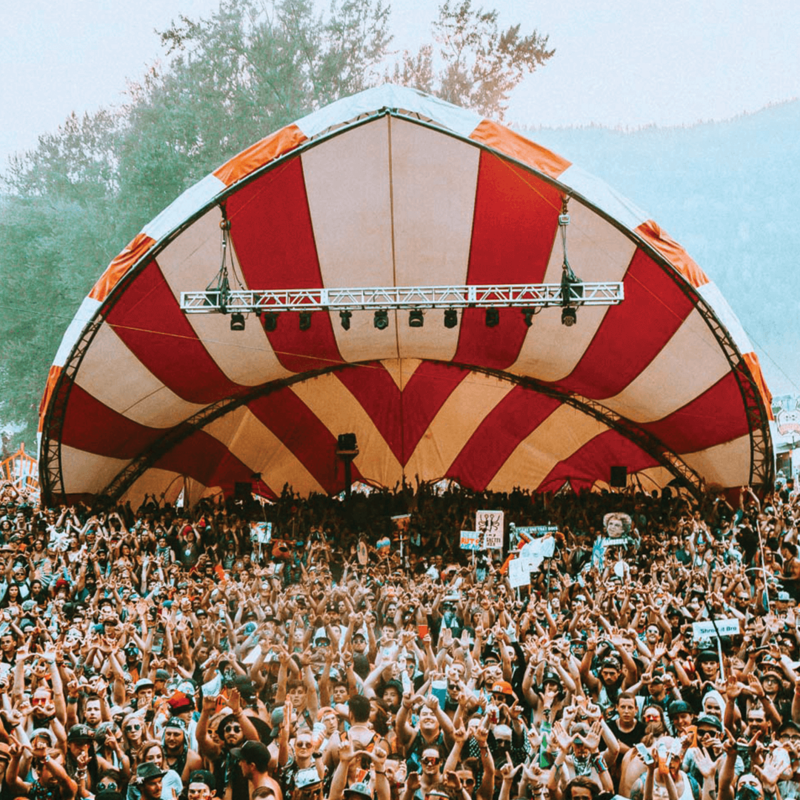 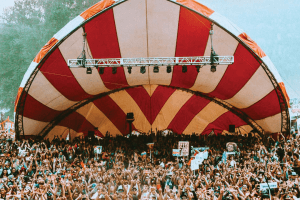 Nestled under an 80’ half geodesic structure, the Village Stage hits you with intense bass and blissful beats, all while being surrounded by tree forts, catwalks and bridges. 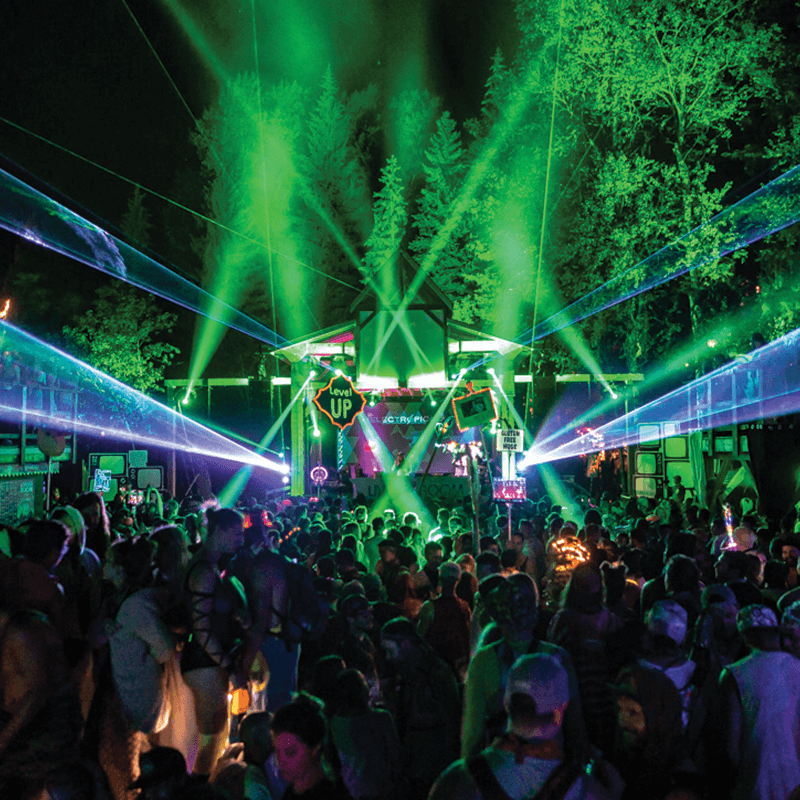 You really have to see this stage to believe it, and if that wasn’t enough, the Village Stage is loaded with 200,000watts of premium PK Sound.